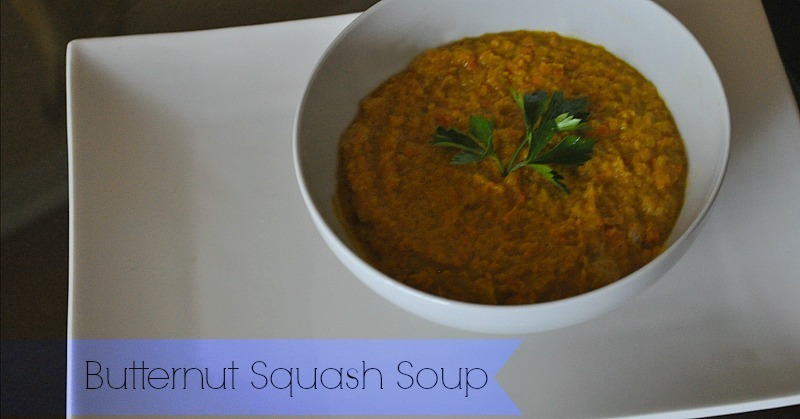 One food I love to cook with during this cold season is squash. There are so many different ways to prepare this delicious gourd, but a simple and favorite recipe of mine is a rich and decadent butternut squash soup. Just imagine curling up on the sofa with a generously sized bowl of something warm and filling to nosh on, listening to Christmas music and enjoying a cozy night in. Butternut Squash has an abundant amount of dietary fiber (for proper digestion), folate (a great vitamin to consume during pregnancy), vitamins A C and E (an antioxidant power trio), and vitamin B6 (encourages healthy hair skin and nails). This soup recipe is quite simple and I recommend making a big batch so you can enjoy leftovers for days to come. This is such a rich and velvety soup, it is so hard to believe that it’s super healthy for you! I will always chose to make my own soup recipes instead of eating the not so delicious canned and processed versions. I can’t wait to share more heavenly soup recipes with you all to keep you warm, fit and healthy this winter season! Do you have your own home made soup recipe that you can’t stop whipping up this winter?